The video includes commentary by Tom Rush, David Geffin and Elliot Roberts. I'm 50 now, but I'll NEVER forget hearing this song. I don't wanna go into the story here for brevity's sake, but...for the LIFE of me, I'll never understand how a woman from Saskatoon, Saskatchewan could touch the life of a skinny kid in the inner city of Kansas City, Missouri! But she (YOU?) did; and I'm forever grateful. Thanks to you, and Leonard (COHEN) and Bruce (COCKBURN, who once good-naturedly called me "an honorary Canadian when I saw him on his "You've Never Seen Everything" tour! LOL), my life went on a much much different trajectory. I call the three of you "The Canadian Holy Trinity." 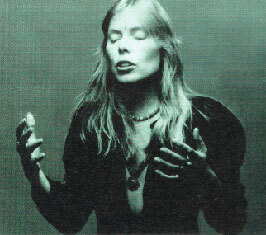 But you, Joni, are the taproot and touchstone. This song started it all WAY back in the 7th grade. AND I WILL FIND MY OWN VOICE. That's what all 3 of your teach me creatively! Bright Blessings! Funny, I remember when we all got together to start the Cellar and they made me the booking guy. We were talking about local talent and getting performers who'd played there before... 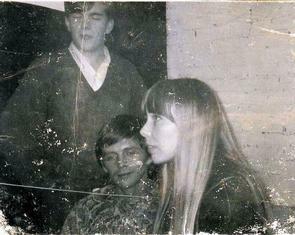 I was new to the group and they were all excited about getting 'Chuck and Joni' to come back and play again. What was funny was that, being all full of my 16yr ols self, I demanded that before they played I would have to 'audition' them! That didn't happen of course and then the time came when they were there playing their sets. The irony came when Joni was doing her set and she started Circle Game and when she got to that chorus the whole packed audience joined in unprompted! It was thunderous! Boy did I feel like an idiot! LoL!!! One of my favorite songs of Joni,s . 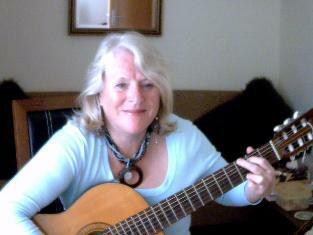 and one i have been singing for 30 years . just love it and always will. it reminds me of my son Matthew,he was a small boy when i learned it and i watched him grow into a man .just as the song says.I sing it with feeling .. and think of him often.